The SL has always been Mercedes' top-of-the-line 2-seater, and the R129 generation's engine roster reads like a greatest-hits list of Mercedes engineering. For those less concerned with outright speed, the 300SL (renamed SL320 for 1994) employs the legendary 24-valve M104 3.0-liter inline 6-cylinder, a roughly 230-horsepower jewel known for requiring the occasional head-gasket replacement and little else. Fun fact: The 300SL/SL320 was the only R129 offered with a manual transmission - a 5-speed unit that tends to drive prices way up today due to its scarcity. Also, the 6-cylinder R129's automatic transmission had five speeds from day one, whereas it took the others more than half a decade to go from four speeds to five. But the headline-grabber when the 1990 R129 debuted was the 500SL (renamed SL500 for 1994). Reviewers couldn't get enough of its 32-valve M119 5.0-liter V8, which pumped out a then-epic 322 hp and 332 lb-ft of torque. A hydraulic 4-speed automatic was the default transmission until 1996, when an electronically controlled 5-speed automatic supplanted it for the duration of the R129's run. Perhaps best known for its work in the 500E super-sedan (though it appeared in the 500SL first), the 5.0-liter M119 is a complex dual-overhead-cam V8 that nonetheless maintains a sterling reputation for durability. All told, it powered the 500-spec R129s for their first nine years, from 1990-1998, with later versions carrying a slightly different output rating of 315 hp and 347 lb-ft.
From 1999 through its swan song in 2002, the SL500 switched to the 24-valve M113 5.0-liter V8, which checks in at 302 hp and 339 lb-ft of torque. Debates continue over the merits of this V8. On one hand, it arrived nine years after the M119, with lower output and a less complex single-overhead-cam design; on the other hand, it provides more usable low-end torque and slightly better fuel economy, and Mercedes thought enough of it to use it as a workhorse across the company's lineup until 2006. Our advice is to drive both V8s if you can and draw your own conclusions. Finally, the R129 has the distinction of being the first SL to offer a V12 engine. Dating to 1993, the 600SL - later the SL600 - features the 6.0-liter M120 V12, a 48-valve, dual-overhead-cam masterpiece that was conservatively rated at 389 hp. Like the 500, the 600 started with the hydraulic 4-speed transmission and switched to the electronic 5-speed for 1996. As satisfying as the V8-powered R129s can be, they've got nothing on the locomotive-like 600, which stickered for tens of thousands more than any other SL. Because of fear of prohibitive maintenance costs, 600-spec R129s are now available for roughly the same price as 500-spec models. If you can find an exquisitely maintained V12 specimen, go for it, but you have to feel 100 percent confident you've found "the one." Even a slightly neglected Mercedes 600 can put you in a world of financial pain, whereas the 6- and 8-cylinder models tend to be more forgiving. Second Question: Pre-Facelift or Post-Facelift? The earliest R129s are distinguished by their rather dated 2-tone bodywork, which went away after the 1995 model year. There were other notable changes early on, including the introduction of the standard (and stellar) Bose audio system with subwoofer for 1994 and a modern digital climate-control unit for 1997. Cars from 1995 and earlier are also notorious for wiring-harness issues stemming from an ill-advised use of biodegradable material. That said, the R129 really only had one major overhaul during its lengthy production run, and it came in model year 1999. The taillights and Nappa leather upholstery were new, as was the SL500's 5.0-liter V8, and the SL320 was no longer available in the U.S. There was also a new head unit for the audio system (with fiber-optic wiring to boot), a protuberant exhaust tip under the rear bumper (previously hidden beneath) and a new set of rims for all models, including fresh staggered-width AMG rims for the Sport package (which became standard in 2001). Some claim the Nappa leather doesn't wear as well as the older stuff, but this question is mostly about your own aesthetic preferences. 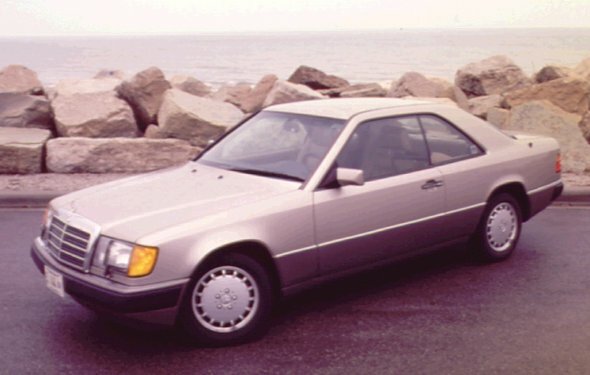 The pre-facelift models have a little more "Old Mercedes" in them, while the post-facelift cars represent Benz's attempt to modernize the R129's appearance toward the end. Naturally, the newer R129s will tend to be in better overall condition, too, but there are gems of all ages to be found. Third Question: Have I Found the Right 1990-2002 Mercedes-Benz SL? This might be the hardest question you'll have to answer, because any R129 will likely impress you unless it's destroyed. These cars ooze power and class from behind the wheel, and the temptation to buy the first one you drive may be overwhelming. Take it from us: Don't give in, at least not until you've had a certified Mercedes mechanic subject the car to a thorough pre-purchase inspection. That's a baseline requirement of any R129 purchase, and many would add that full service records are required, as well (though the writer's experience with a records-less 1998 SL500 has been generally positive, for what it's worth). Even if the car passes with flying colors, take a step back and ask yourself if this particular specimen has that special feel. Fortunately, there are still a lot of low-mileage R129s out there, so you can afford to wait until the right one comes along. You'll know it when you meet it - and once you take it home, it might never go on the market again.